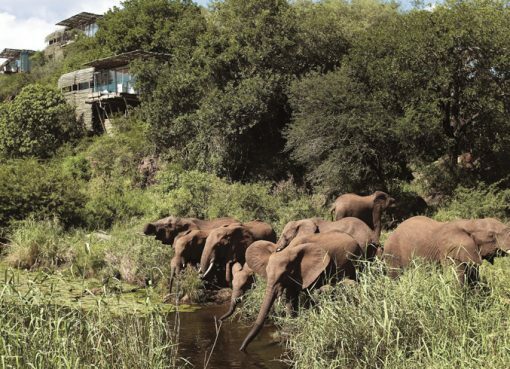 Shumbalala Game Lodge is a tranquil haven situated within Limpopo’s Thornybush Game Reserve, adjacent to the Kruger National Park. Unspoiled by the world beyond, stone-clad Shumbalala, which means, “where the lion sleeps”, is a five-star retreat for the soul. 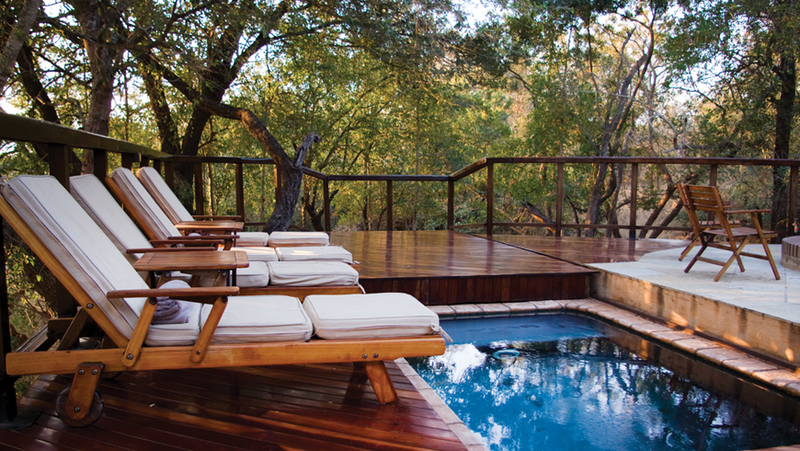 Set beneath shady African trees alongside the meandering Monwana River, guests can sit peacefully in wing-backed chairs on the gleaming teak deck, watching a myriad of animals go about their daily lives. 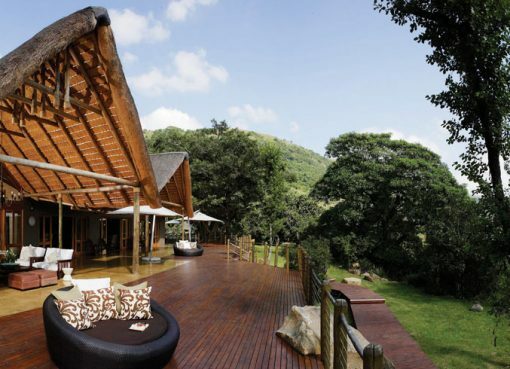 Visitors are accommodated in a choice of four luxury suites, all of which have elegant decor as well as those facilities one would expect of such a Lodge, including air conditioning, open fireplaces, and glass fronts with private viewing decks looking over the surrounding bushveld. Each suite’s bathroom, which includes an open-air shower, has its own picture window, so you can watch the wild world go by as you wash off the day’s heat. The Lodge’s prime accommodation, the Presidential Suite, consists of two bedrooms, a private dining room, lounge, pool and fireside facilities. 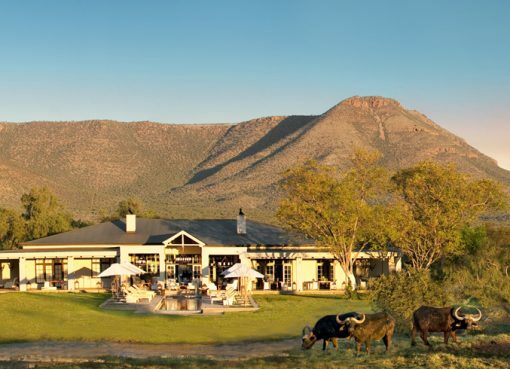 At Shumbalala, expect to enjoy quiet mornings, lazy afternoons, early evening game drives and sumptuous dinners, washed down with some of South Africa’s finest wines. For more information visit www.shumbalala.co.za, email info@shumbalala.co.za, or contact +27 11 253 6500.